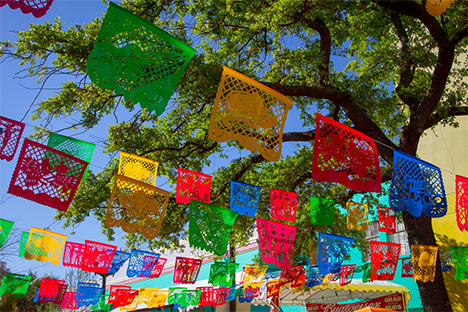 UC Berkeley Events Calendar: Holiday Maker Mercado: ¡Manos Mexicanas! Holiday Maker Mercado: ¡Manos Mexicanas! Come celebrate the spirit of Mexico at the Hearst Museum's holiday pop-up sale! Enjoy food and drink while you browse handmade treasures and connect with artisans and makers. Enjoy free admission to the exhibit People Made These THings: Connecting With the Makers of Our World. Kids are welcome and can join in to learn how to make their own papel picado decorations. Registration is appreciated, but not required.